-W. Howard Greene: "This award was recommended by a committee of leading cinematographers after viewing all the color pictures made during the year." The simple question one could ask is why Hollywood thought that it was a good idea to make a film like A Star is Born to begin with. In some respects, it is among the darkest and most critical work of cinema's early days - coming before talkies were even a full decade old. With that said, there was already gossip and scandals to be had with the stars of the time, even previously leading to the 1932 film What Price, Hollywood?, which is considered a blueprint for the William A. Wellman film to come. 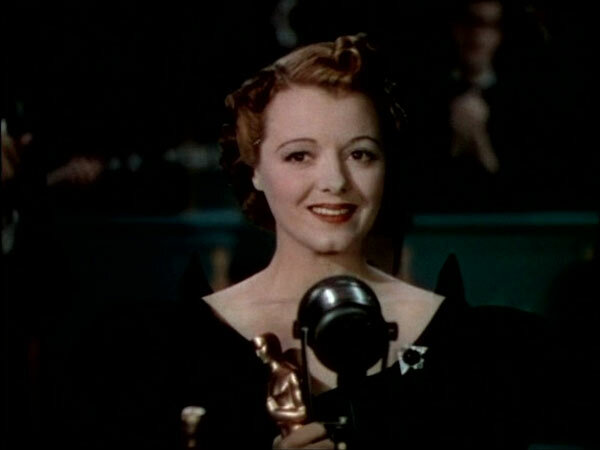 Some would argue that the film was inspired by the relationship of Frank Fay and Barbara Stanwyck, in which the husband's career tanked as the woman's began to take off, especially given that Fay's death happened a year before the film's release in similar fashion. Given that the Great Depression was going on and films were seen as escapism, the drama in A Star is Born painted a cruel place where fame is fickle. This is, if nothing else, a cautionary tale - and one that even features a sympathetic portrayal of alcoholism in an era where it was still used for comedic relief. This is where the phenomenon all started, with a film produced by one of the biggest, most established producers of the era: David O. Selznick. If anyone knew what audiences wanted of the time, it was him. It's likely why he took a risk on Wellman's film by, among other things, releasing it in color during a time where black and white was still the norm. Add in former silent film star Janet Gaynor in a role full of meta subtext, and the story begins to write itself. It's as much a fictional story as it is reflective of the artists who created it, as well as the era. It's no surprise this begins with the protagonist moving from the humble Midwest to Hollywood, in large part because that was the myth of the time: hard work could pay off. In a lot of respects, it did this time around, as it became a story that most people would want to revisit for the next 81 years in many exciting iterations. 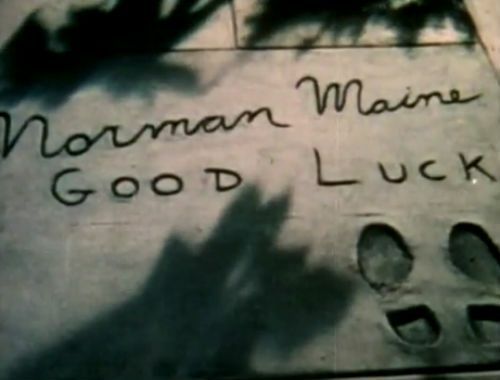 There are few actors at the start of A Star is Born who have quite the reputation of Norman. He is the star who could not be left alone by the paparazzi. As much as he enjoys the life, he yearns for the simple joys of being a nobody, somebody who could walk the streets without a camera in his face. It's in part what draws him to Esther Blodgett, whose humble beginnings make her pure of the Hollywood cynicism that fuels studio offices and makes each project a nightmare to deal with. Still, his currency as a leading man is what gives him purpose. The film's protagonist begins her story in the humble Midwest, where life is simple and her dreams are rich. It's a place where cinema is glamorized for how exciting it makes the world seem. She seeks a job as a waitress by day, but manages to stumble her way into the Hollywood Bowl one evening where she meets Norman Maine. He takes a liking to her and helps her quit her job as a waitress and become a movie star before eventually marrying her. However, she must change her whole identity, taking on the friendlier name of Vickie Lester, in order to appeal to a wider audience. Her identity has changed, even if her love for Norman tries to remain the same. The only problem is that soon audiences want her more than him, and his career takes a nasty turn full of embarrassment, eventually leading to his sacrificial death to save her career. She is nothing if he's on her arm, and it's best that he dies for the sake of her future. 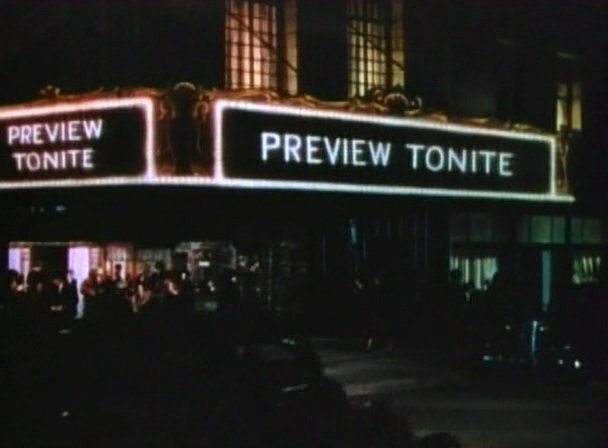 While the later films often get more credit for being more enjoyable, what makes the Wellman version of 1937 particularly effective is how many of the beats were already in place. Given that Hollywood's dramas weren't often this self-critical of the industry, it was a bold story that played with audience's expectations and created a world of meta commentary that was almost too universal. The idea of fame coming and going is a theme that was and would continue to exist to this very day. The heart in the center of the story is fairly familiar as well, especially given that it focuses on two actors finding joy in their craft and using it to better themselves. 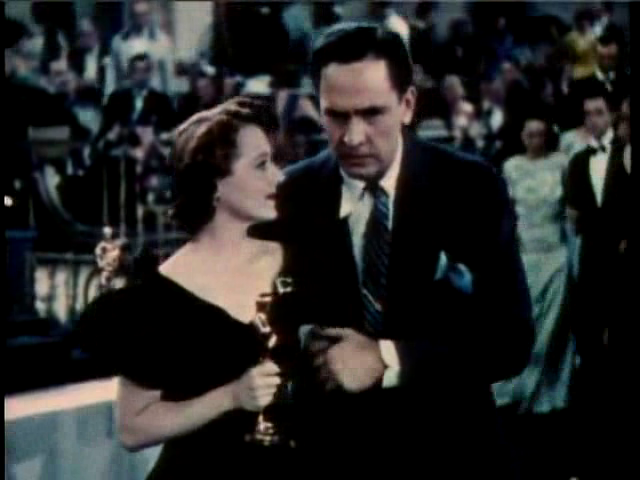 For as slow as the pacing is and how dated the references can be, the film established a series of plot points that are actually consistent with all three adaptations to come, whether it be the central premise, the awards show scene where the woman is upstaged by her husband, or even the conclusion where the woman publicly takes his surname as a sign of reverence. Some of the subtext is likely lost to modern audiences, especially those not familiar with Janet Gaynor's silent film work. However, she still does an excellent job of creating a character whose enthusiasm is key to her later success. Another thing that is especially fun about the first iteration is how it never talks down to the audience and create the false sense that Hollywood is this perfect landscape. 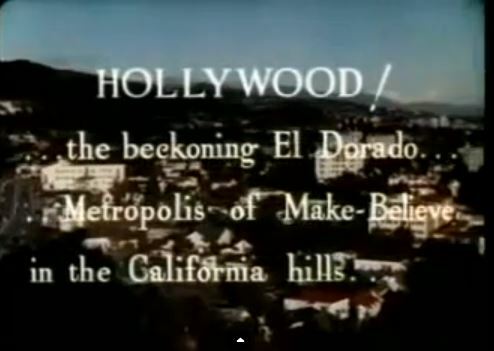 It is true that the film opens with a mock script detailing the opening scene (the same is done for the ending), but it's only part of the sense of Hollywood lingo on display here, creating a sense that since the audience knows these signifiers, they already have an idea of what to expect. As much as the film has a few self-congratulatory moments, it's the critical element that makes it pop with an extra bit of life. Also, considering that most films were shot in black and white, the use of color was also revolutionary for the time, even leading to an Honorary Oscar, as well as (to date) the only version to have a Best Picture nomination. It should be noted that there's nothing inherently wrong with this version of A Star is Born on a structural level. In fact, Wellman has created a fairly effective drama full of great performances by Gaynor and March, especially as they reach the passionate middle of the film. However, the film maybe set the guidelines a little too strict for every adaptation to come. The most notable issue, and one that applies mostly to the 2018 version, is that Lester is mostly a success because of Maine, and his insecurity with losing fame drives him into repugnant behavior. Sexual politics have evolved since 1937, so the criticism isn't applied to this film exactly - but since it set the bar, it should well be noted that it's the one dated aspect that hasn't evolved throughout the later versions. The rest of the film is fine, and despite the Honorary Oscar for color photography, the film has the least appealing cinematography of the four, likely due to the limited advancements at the time. Still, the performances and story outshine that element. Since the film set the blueprint for everything to come, it's a bit difficult to pick one scene that stands out as exceptional. However, the now iconic Academy Awards scene probably stands out as a moment when the egos between Norman and Vickie clash the loudest, and in public. She is literally at her height, holding an Oscar for acting while he's spouting something that may as well be the predictor for the Razzies: the three worst performances of the year. He's that shameless about his downward spiral, and it only leads to some uncomfortable tension for the rest of the evening. The scene is more than a brief interruption. It's the pain and sorrow that follows, realizing that Norman is not going to be getting any better now that he's box office poison and worse off than his wife. Despite being a franchise that has each film decades apart, there's a lot of similarities between the stories. In the case of the 1937 version, it set the blueprint for what was to come. 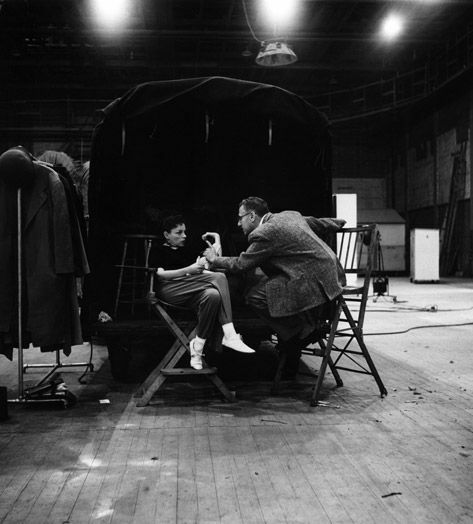 However, the only true remake was the 1954 version, co-starring Judy Garland and James Mason. The film is, on a script level, almost verbatim down to using the same exactly plot beats, such as how Norman Maine dies (he drowns). The later versions would alter the premise to be more about musicians who have their own set of struggles, and thus alter external elements of the story to better suit the environment. While it's far from intentional, one of the other big similarities that the 1954 version shares with the 1937 one is that both have scenes that are predominantly script notes. Where Wellman would use it as a gimmick meant to entice the audience however, the script notes in George Cukor's 1954 version was largely due to the original print being edited down with whole scenes going missing. 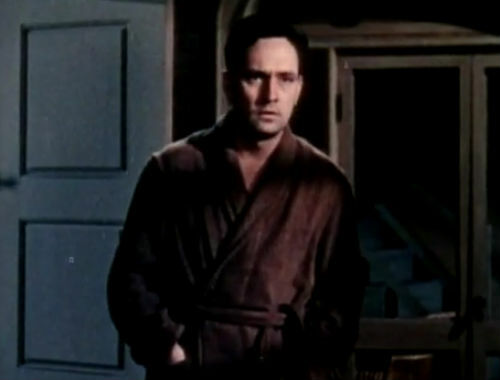 The modern version of the latter film features notes over dialogue, meant to create a sense of what the missing scene was supposed to be like. Another element that connects the first two A Star is Born takes is Cukor himself. A seasoned director by 1954, he was fairly new in 1937 and was also responsible for the aforementioned What Price, Hollywood?, which may or may not explain why he passed on this film. There's no real connection between Garland and Gaynor besides that they were both working in Hollywood around the same time, the former as a child star on the verge of making The Wizard of Oz (Cukor briefly worked on that film as well, helping to shape Dorothy as a brunette). 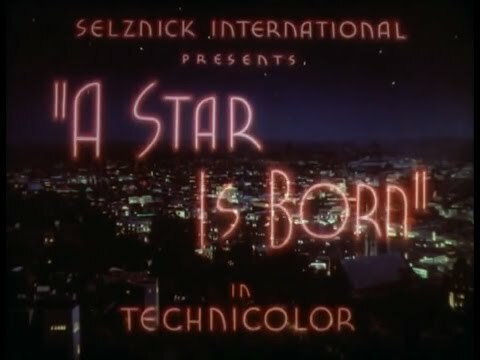 Still, the idea of A Star is Born being a comeback vehicle was something that resonated with Cukor and was essentially what the Garland version was meant to be. While the films are almost the exact same movie beat by beat, Cukor's influence was more seen in the MGM musicals that came between Wellman's film and 1954, which were also reflective of Garland's career in general, once again adding meta subtext to the film. While it's a bit difficult to entirely suggest that the 1937 and 1954 films are different, there is one thing that makes the Wellman film stand out even more. It's because of the use of title cards, which are only featured prominently in this version. While there are introductory cards, the thing that makes A Star is Born pop out here is the fact that it feels like a lavish production full of winks at the audience. 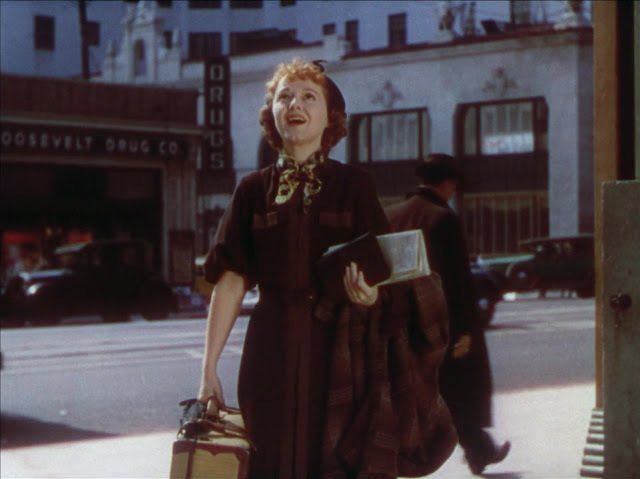 The opening of the film features script notes, and a later theater scene is almost telling the audience (both on screen and off) how to react to the moment. 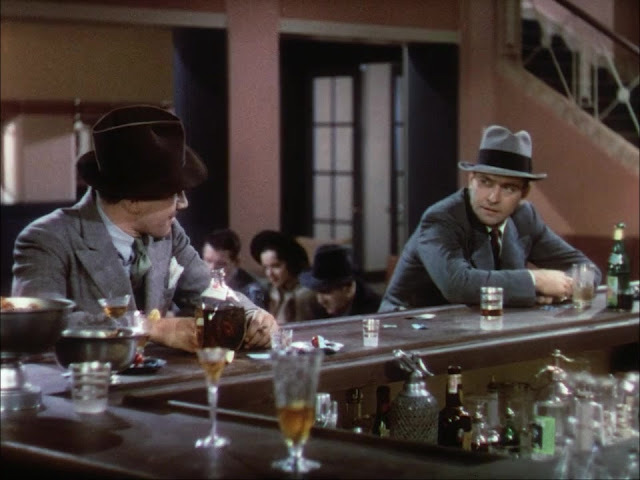 The Wellman film was more playful with its source material, allowing the viewer to feel connected with the world without having to feel entirely emotionally distressed by the circumstances. It may be a novelty use, which explains why it wasn't used ever again, but it does a lot to make the film feel more of a piece. It's also one of the only times that the film directly addresses Hollywood myths to the camera, especially in boardroom scenes... though the later versions aren't without sly winks to the creators. 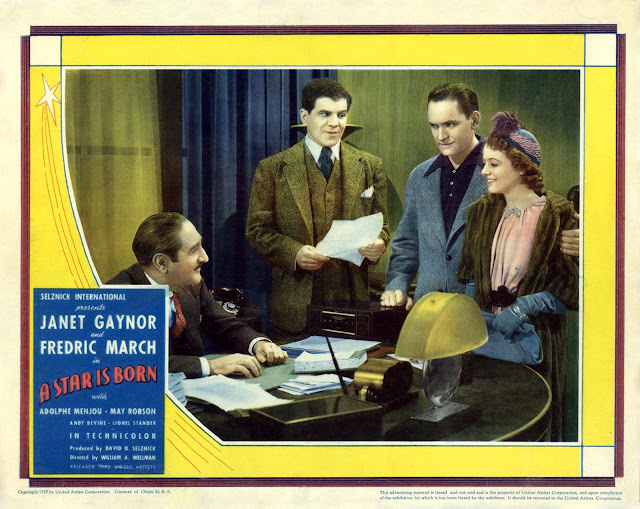 While it's easy to see why the 1937 version of A Star is Born is not nearly as acclaimed as the later versions, there's a lot to admire about the first film in an unsuspecting franchise. It for one tells one of the most unique tales of caution in Hollywood's early talkies. Where later films, such as Sunset Blvd., would build on this idea, A Star is Born was created as a perfectly mixed drama with plenty of humor, meta subtext about the film industry, and just a general sense of ingenuity. At the center of the film are real characters, who got into the business in hopes of becoming a somebody. At different points, they both are. However, it's one of the bittersweet elements that means it wasn't built to last. Still, Gaynor and March deliver top notch performances that embody the archetype for what these characters will become. Is it at times self-serving? Maybe. However, to write it off as silly would be a great disservice. What the film achieves is the idea that Hollywood can be dark. It can reflect a side of itself that isn't all that pleasant while creating a captivating and human story. Most people who see the film will likely never be as popular as Norman or Vickie, but the idea of being passionate for your creative partner is an evergreen concept. There will always be a need to be supportive and in love, even at their worst moments. This is a story that makes Hollywood both a place of glamour, but also heartache. The fact that it came out in the late 30's, when challenging dramas weren't nearly as popular, is all the more astounding. This is a perfect start to the franchise, which does almost everything right at making the audience feel familiar and invested in this world that could've easily been self-congratulatory. It's far more than that. It's an emotional ride through success and failure, plain and simple.